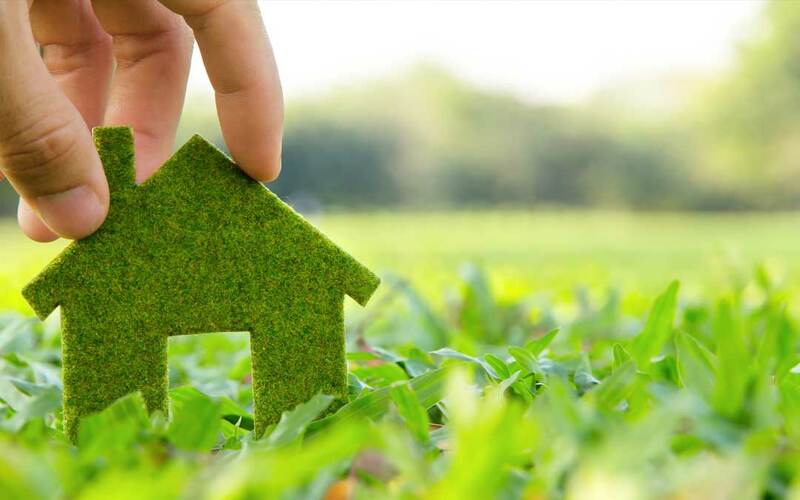 Carpet may not be the first option you think of when you are looking for eco-friendly options. In reality, many types of carpet are made with natural, renewable fibers like bamboo, coir, jute, organic cotton, organic wool, seagrass, and sisal. These plants are all quick-growing and require little fertilizer and pesticides. Recycling is another path to eco-friendliness. Many manufacturers make carpet from 100 percent recycled materials such as plastic beverage bottles, keeping these materials out of landfills. To many people, the words Linoleum and Vinyl are interchangeable. In truth, these two materials are quite different. Vinyl is a completely synthetic made from toxic chemicals like chlorine and petroleum byproducts. Linoleum on the other hand is made from naturally occurring substances like linseed oil, cork dust, ground limestone, pigments, sawdust, and tree resins. It is naturally water resistant and fire retardant. Though this material fell out in the 1950s with the advent of vinyl, architects and designers are now using this material again. Linoleum is available in a vast array of bright, vibrant colors and patterns. New sealers and pigments make modern linoleum and attractive, durable material, suitable for use in many settings. While stone isn’t a renewable resource, it is a completely natural material, harvested directly from the ground. Stone flooring requires no chemicals like glazes, solvents and stains to produce. Because of its ability to absorb and retain heat, stone floors can even contribute to energy efficiency. Finally, stone is eco-friendly because it requires virtually no maintenance. It’s easy to clean with nothing more than a mop and water. Hardwood flooring is harvested from trees that take twenty years or more to grow to maturity. Because they are grown so quickly, the wood harvested from these trees is often of low quality, forcing manufacturers to take extra steps in processing and finishing. Harvesting traditional hardwood flooring is anything but eco-friendly. However, there is another option. Reclaimed hardwood comes from trees that were grown and cut down many years ago. Salvaging this wood keeps it out of landfills and burn piles, and gives architects and designers a sustainable source of slowly grown wood with a natural patina no other material can match. Concrete may seem boring and drab, but this doesn’t need to be the case. Concrete can be inlaid, polished, textured, and tinted to offer nearly unlimited variations. Concrete is often used in many commercial, industrial, and residential settings. When it is used as a flooring material, it eliminates the need to use any extra materials, like carpet, vinyl, or wood. Concrete floors are easy to clean, extremely durable and will last just as long as the building it is used in. Do you think that eco-friendly flooring had to be boring, drab or ugly? This just isn’t the case. Modern materials give todays homeowners the option to have sustainability, and style.